We want to help you and your love one have a fun night out! 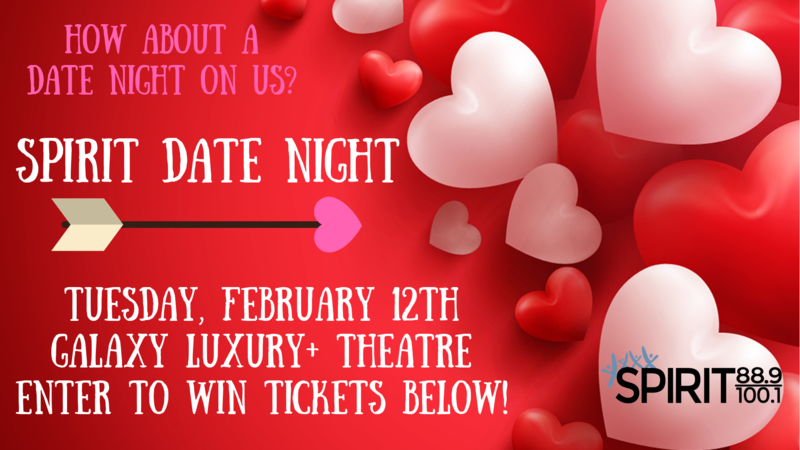 Enter in to win two tickets to our exclusive Spirit Date Night on Tuesday, Feburary 12th at Galaxy Luxury+ Theatre in Tulare. The movie for the evening is "Indivisible," the extraordinary true story of Army chaplain Darren Turner, and the fight he faced not just in Iraq but for his family. In order to attend, you have to win tickets! Fill out the form on the left and you will be entered in to win two tickets. Winners will be notified by email or phone call.